When it comes to preparedness related gear, everyone understands the need for a good flashlight. The moment the power goes out, it’s usually one of the first things we start to look for. There are thousands of different types of emergency lighting products on the market. 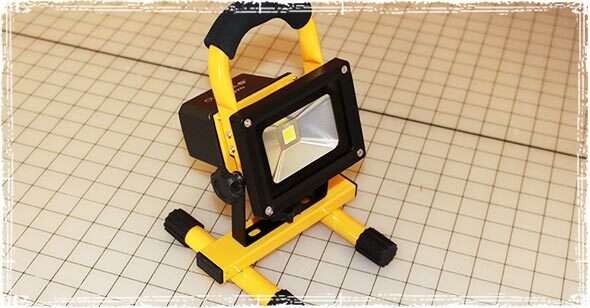 From tactical flashlights and spotlights marketed towards Preppers, to old fashion Coleman lanterns or modern day solar powered LED units, the number of options is endless. But not all lights are created equal; here are some of our favorite emergency lighting choices and flashlights. 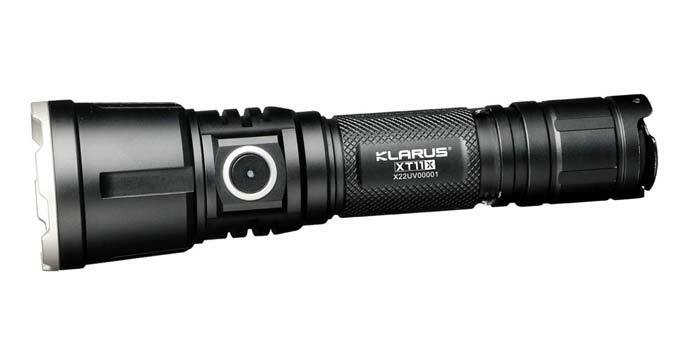 Klarus is known for manufacturing solid flashlights, and there XT11X is an impressive tactical flashlight that delivers a whopping 3200 lumens of power. The XT11X is specially designed for self-defense and tactical use but also features two programmable settings; Tactical and Outdoor. With the Tactical setting, you have instant access to Turbo, Strobe and Low. The Outdoor setting gives you one touch access to Turbo and Low. The Klarus XT11X retails for as low as $99. I discovered COAST Lights at the SHOT Show a couple of years back, and since then this little PX1 has become one of my every day carry items. 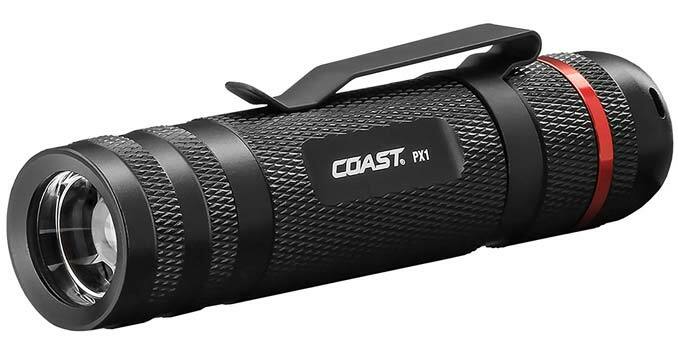 The PX1 uses 3 AAA batteries and has a light output of 315 lumen in high mode, and 25 lumens in low mode. It retails for right around $30. 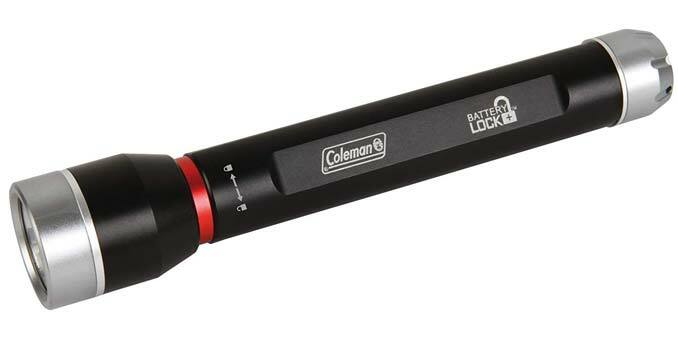 The Coleman Battery Lock Flashlight series made the list because they solve a legitimate problem for Preppers who keep flashlights in their Bug Out Bags. The Battery Lock Flashlights come with a twist top safety that prevents the light from being accidentally turned on if something bumps the on/off button. The last thing you need during a grid down emergency is to find out your batteries are dead because the light got switched on in the bag. The Battery Lock Divide 250L retails for $29.99. 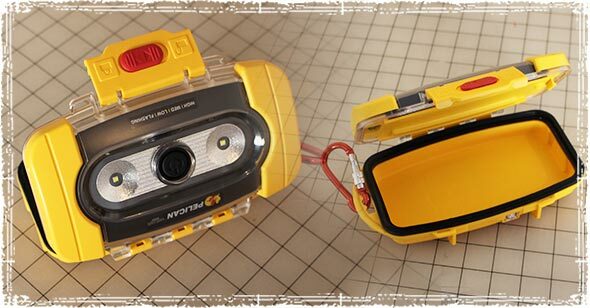 It’s powered by 2 AA batteries with a run time of 1 hour on high and 8 hours on low. It has a range of 130 meters high, 40 meters low and gives you 270 lumens on high and 30 lumens on low. This is a cool little product that I like to throw in my gear bag anytime I’m fishing out on the water, or backpacking through areas where I know things might get wet. The container serves as a waterproof survival kit (or a place to keep your phone dry), while doubling as a pretty decent lantern for night fishing. It’s also a good emergency light when things get a little dicey. The Pelican ProGear 9000 Light-Case retails for $59.95. It’s powered by 4 AA batteries and has a run time from 8 hours on high (200 lumens) – 100+ hours on low (20 lumens). The Olympia FL970 Rechargeable Work Light is compact, powerful, cordless and IP67 waterproof. The light provides 970 lumens for up to 3 hours and is great on the boat, at a campsite, or for emergencies and roadside breakdowns. I use this one quite a bit when I’m working. It’s one of my favorite little lights and is something that I keep in my truck at all times. It retails for around $65. 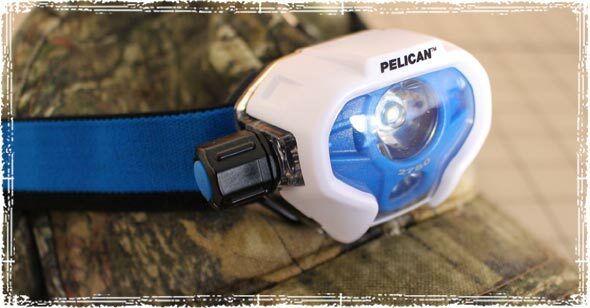 The Pelican 2780 Headlamp is awesome for hiking at night or night fishing. The light gives off 430 lumens and features dual beam technology that will help light the path far in front of you, and at the same time the trail at your feet. On high it will last for about 1 ½ hours, but it also has a battery saving mode that will give you light for about 12 hours (giving off about 53 lumens). It takes 4 AA batteries, which are placed in a rear mounted case. The Pelican 2780 ProGear LED Headlight retails for anywhere from $50 – $75. 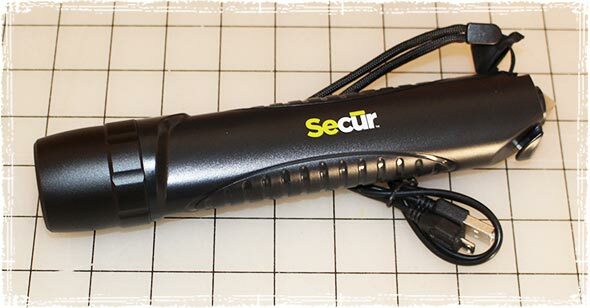 The Secur Emergency Flashlight is a waterproof LED flashlight that features a window breaker, a seat belt cutter, and a 5,200 mAh Lithium Ion Battery backup. The backup battery can provide emergency power for cell phones, GPS devices, and small electronics. It provides 220 Lumens and has four brightness settings. This is another great unit to use in combination with a small solar panel unit like the Sunjack Solar charger, especially since you can store extra battery power in the battery backup. I love this review. Specially price range is very affordable. I am going to buy one of those best tactical flashlight. I’ve tested a lot of flashlight and there are really amazing ones. Coleman Battery Lock Divide is really among the best ones. I had Coleman flashlight. Although, this flashlight design and model little bit old but worked very well few years with me. Now, I am thinking to buy secure flashlight according to your recommendation. I’m a flashlightaholic and own about 50 flashlights from various manufacturers including Fenix, Nitecore, Klarus, Jetbeam, Streamlight, Surefire, Foursevens, and several others. My most recent order (which I have not yet received) is the Klarus XT11GT. This unit can hit 2,000 lumens in burst mode and it also has a built in USB charger. It’s a tactical light with a crenelated bezel and tail switch in addition to a rear mode switch and a traditional side switch. It’s actually a bit complicated but at least on paper it appears to be the perfect tactical flashlight for preppers. You might want to check this unit out if you are in the market for an expensive new torch. I will try and update this comment when I have a little experience with my new toy. I have a headlamp similar to the Pelican, I don’t have to take the batteries out to charge them, it came with a car plug adapter and an ac adaptor. I think the batteries were 18650,s the same batteries I use in my vape mods, the batteries were included as well. It’s a bit more affordable. The only thing I don’t like about this style is the center strap, but it’s needed due to the weight of the batteries in the back. I think I have a headlight in every room, LOL! I am going to order the Pelican light case to put in the saddlebag on my Shovel, I like that. You all have a great day!! !